Body Transformation: Under The Knife And Into A Fit Life! Erik realized his weight was out of control when he struggled to walk the family dog. That spurned a lifestyle change that crossed into surgery and a new body! 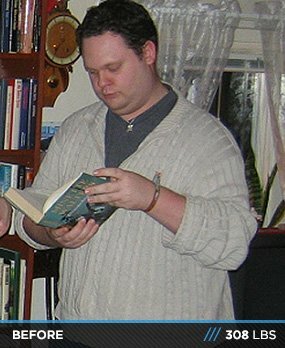 I was slightly overweight for most of my life and slowly became obese in my late teens, but for some reason I always believed I would change my body for the better. I had all the reasons and excuses not to make it happen. My life revolved around computers at an early age after I was brought into the world of video games by my older brothers. As a child, I would sit for hours, endlessly playing games. As an adult, I became interested in designing websites and programming my own software. This life came with a complete disregard for nutrition. I usually had a big glass at my side that contained a sugary drink that I consumed for hours. Fast foods like pizza, burgers, and French hot dogs were my favorites, and that made the scale escalate quickly. I became more than overweight—I was obese. I weighed more than 308 pounds. I went through several life-changing events, but the starting point of my ascent from an otherwise downward weight spiral didn't begin in a dramatic way. There was no breakdown, worn-out knees, or bad news from the doctor. I noticed the problem when I walked my parent's dog and decided to change my life. The walks became jogs and my introduction to the gym and weightlifting soon followed. My friend and I started going to the gym a few times per week. A few times became four and eventually five times per week. Soon enough, I was at the gym every day of the week. If I didn't lift weights, I did cardio. I saw progress on the scale and in my physique and strength. I felt great. I gained more knowledge about nutrition and training. 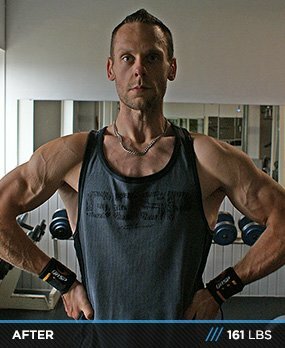 I bought bodybuilding magazines, read tips and tricks on the Internet, and discussed my ideas and thoughts with people at the gym who had more knowledge than I. Through this process, the idea of losing weight became something more and bodybuilding became my passion. It's important to be unafraid of self-doubt and failure. They are natural parts of a transformation and help you keep things in perspective. Less than three years after the initial walk with my parent's dog, my life became a journey for weight loss. The tools for accomplishment consisted of more training and less food. 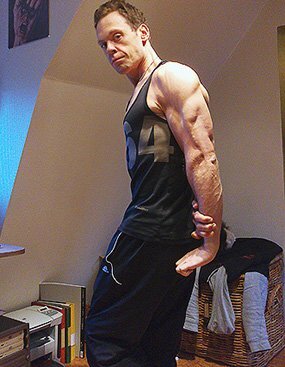 I wanted to build my physique and become more muscular. I set an end-date for July, 25 2011, and marked it on the calendar. I hit the date, took pictures, and was applauded for my effort, but deep inside I knew I wasn't finished. The skin hung beneath my clothes and prevented me from gaining a sense of accomplishment. During my initial weight loss, I applied for skin removal surgery. The operation would have cost me around $8,450 and I still needed to qualify for surgery through Sweden's health care service. Unfortunately, I was initially denied, but I felt ready to apply again and was accepted the second time through. It came as a great relief and fueled me to work harder. I started a building phase and gained weight to stay powerful and strong prior to surgery. On February 19, 2012, I had filled out and looked good. I was ready for surgery. At that point, I lost more than 147 pounds and was set to lose another 20 pounds post-surgery. I went under the knife feeling strong, determined, and highly motivated. I was completely prepared for the recovery process. I took lunchboxes packed with protein-rich food and amino acids to the hospital (as backup in case I felt sick after the anesthesia and couldn't eat solid food). One day after the operation, I was on my feet. I carried a girdle to press my recently loosened skin tightly against my abs and started training parts that wouldn't affect my abdominal area. I lifting anything I could find in the apartment, from cooling bags to various packages. When I felt I could drive to the gym, I started training my body there. Throughout the process, I carefully documented everything on my website. Every training entry was entitled "Training Day" with the number of the workout proceeding—some days were successful, some were complete failures. This has been my project since I went under the knife on the February 21, 2012, and it's the effect of a transformation that began in September 2008. I'm highly determined to see exactly how much I can improve after the damage made in my early years. There have been many factors that influenced the success of my transformation. I've been lucky to have a great support system. Initially, this included the never-ending support from my parents. Their support meant everything. Today, my girlfriend is my No. 1 supporter. She was there during the gruesome diet of my first cutting period and my surgery. She always tried to understand where I came from and supported the lifestyle I live today. In the end, I was the one who had to do the actual work. I've always had a strong-willed mind when it comes to something I really want and being hardheaded has been both good and bad for me. People drop out when they don't see immediate results, and I think most who undergo a major transformation know that great results take time. In the beginning, there weren't many obstacles to overcome due to the lack of specific goals. I simply exercised because I wanted to, not because I was trying to accomplish something. However, as I progressed and the thought of actually accomplishing something specific arose, the first challenge was to gain knowledge. Luckily, I met people who knew more about training and nutrition than I, which helped. But above all, I had the drive to work hard for what I believed in no matter what others said or if I saw immediate results. This firm mindset was a huge factor to my success. It took me through countless hours at the gym, monotonous diet plans, and self-doubt about my future goals. It was the key to apply for the skin removal surgery a second time even when I was denied. It was the key to achieve visible abs after removing 3.3 pounds of excess skin and gaining more than 22 pounds of bodyweight. I refused to give up and believed every obstacle could be overcome or endured. My goal is to rebuild my body and discover how much I can improve after the damage I did. 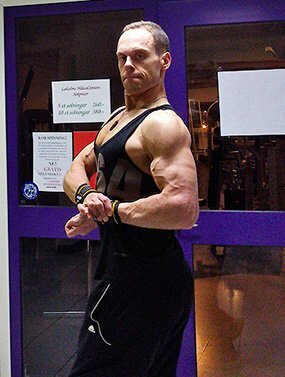 My hope is to step on stage and compete in a bodybuilding show. However, through my long and hard journey, I learned it's not a matter of training and dieting. For me, it's also a matter of cosmetic surgery. The damage I did to my body cannot be fixed with training and dieting. The skin removal around my abdominal area was the first step, but there are other areas that need to be corrected before I can take real steps toward the stage. I'm currently trying to find ways to fund these operations and am dead set on significantly rebuilding my physique. With the transformation behind me, my aim is to inspire and motivate people. This is why I started a website called Bringing Awesome Back. The name signifies, in a playful manner, the essence of what I believe in: that you can, no matter how down and out, get back up and show the world that you have something of worth. Through my past and future journey, I give everyone the opportunity to follow me and find out what I did to get where I am today and where I want to be. Hopefully, my scars, lessons, and story can serve as inspiration and motivation for others. As a student of sports science, specializing in sports psychology, I combine the knowledge I learned through science with the experience I gained through my transformation. It's important to be unafraid of self-doubt and failure. They are natural parts of a transformation and help you keep things in perspective. Never doubting yourself means you never doubt your methods, and that potentially makes you blind from learning. Learning from your failures and knowing how and when to push self-doubt gives you above-average results. Time and experience will help you accomplish this, and through this process, failure and self-doubt should be perceived as natural elements—not as reasons to quit. 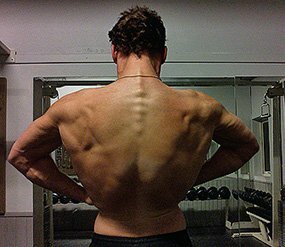 Bodybuilding.com has been a great source for knowledge, especially during the initial phase of my transformation. The extensive exercise database was as a huge helping hand when I didn't know how and what to train. The sheer motivational factor from seeing other people accomplish great things was huge for me. It fueled my will to work harder and gave me a great urge to delve deeper into the world of bodybuilding and fitness. Today, I'm even more involved with Bodybuilding.com. As a long-time reader on the forums, I finally started posting myself and engaging in conversations. This is another step in the learning process and I'm sure it will result in new ideas and inspiration.